Jacuzzi® infrared saunas are a natural extension of Jacuzzi® brand products, offering the best in health and wellness worldwide. They represent the height of innovation and craft as we rigorously adhere to the highest levels of innovation and applicable industry standards. Developed under the name Clearlight® Infrared Saunas by Chiropractic Physician Dr. Raleigh Duncan, a rationale for heating and healing the body evolved over time to include: patented True Wave® Far and Full Spectrum Infrared Heaters, low EMF/ELF/RF Systems, Digital and Smart Device Controls and Vibrational Resonant Therapy and Therapeutic Chromotherapy. 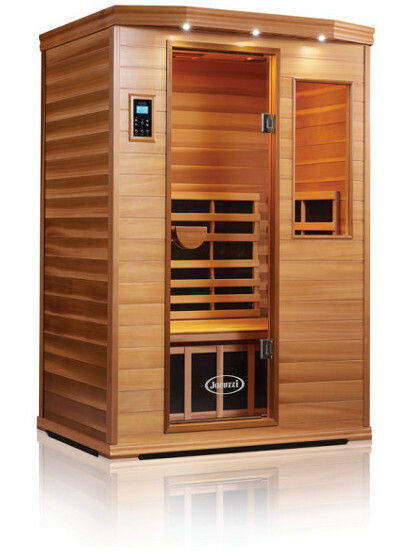 Our Proprietary heaters are the heart of every sauna we build to ensure the best results for healing. Your Jacuzzi® infrared sauna produces the same infrared heat produced by the sun. Infrared heat is required for all living things for optimum health. The radiant heat from your Jacuzzi® infrared sauna surrounds you and penetrates deeply into your joints, muscles and tissues increasing oxygen flow and circulation. Using your Clearlight® Premier™ or Sanctuary™ Sauna helps to remove impurities from your cells, specifically the cells inside our fat where our body stores waste and harmful toxins such as cholesterol and heavy metals. 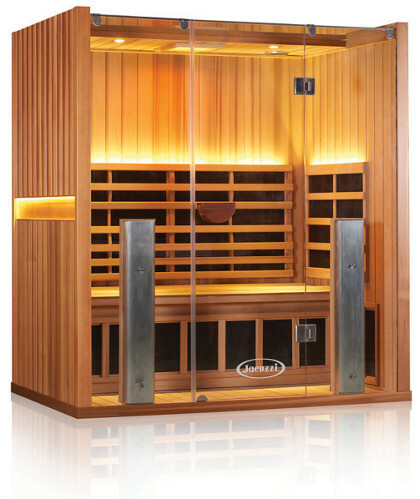 When used properly, your Jacuzzi® infrared sauna will help improve your overall wellness. Infrared heat is all around us and you have felt it from sources like fire, heated sand on the beach and the sun (without the harmful ultraviolet waves that the sun gives off). Just as visible light has a range of wavelengths (running from red to violet), so does infrared light: longer wavelength infrared waves are thermal, while short or near infrared waves are not hot at all. In fact, you cannot even feel them. It is the far infrared energy that is most beneficial, deeply penetrating about 1 to 2 inches below your skin into your fat cells and increasing circulation to help rid the body of harmful toxins. It also aids in the healing of other therapeutic conditions, such as stress and fatigue, muscle aches, stiffness and joint-relief, weight loss, increased metabolism immune system boost, skin conditions, cellulite, hearth health and diabetes. Near and mid infrared enhance these benefits.